? 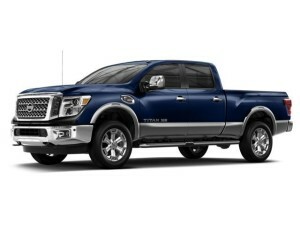 When Nissan first announced that the 2016 Titan XD would feature an optional 5.0-liter diesel engine with a stump-ripping 555 pound-feet of torque, we were amazed. Then came the improved body and the 5.6-liter V-8, and the deal was sealed: we loved it! This week, deliveries of the diesel-powered Titan XD are taking place, and with that comes the announcement of the pickup’s pricing details. Come check out and test drive the Titan XD at Commonwealth Motors located at 135 Marston Street, Lawrence, MA 01841. If you are not up for a truck, we have plenty of cars, vans and SUVs in our inventory. We’re sure we have something perfect for you.